Do you always check that the door is securely locked when you leave home? This is only normal: we do not like to leave our house unattended. The ONE Smart Control home automation system is always alert. 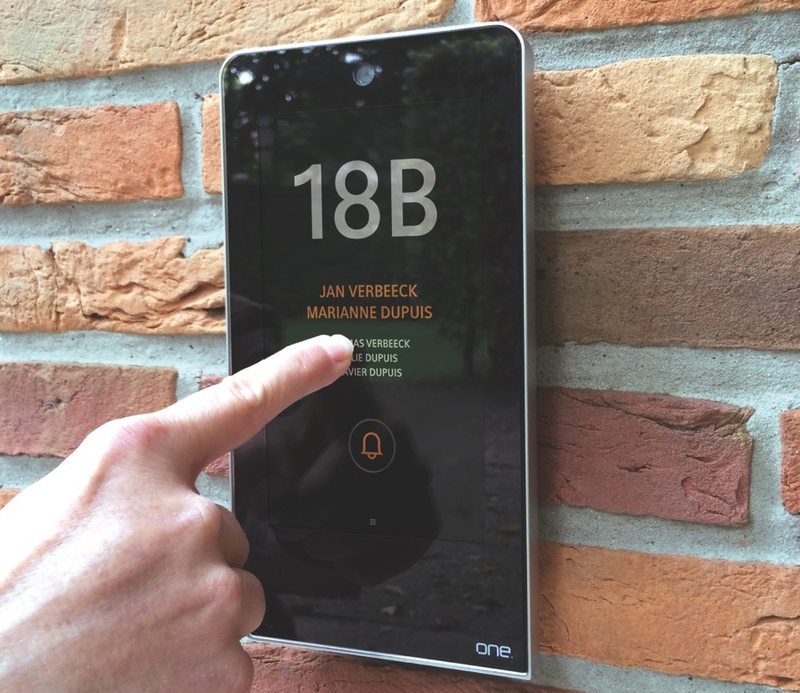 One press of the smart button next to your front door controls everything when you leave the house. Your lights switch off, the house temperature is reduced, your shutters close and the alarm system switches on. You can leave home with complete peace of mind. Give the impression that your home is occupied while you are enjoying two weeks of sun and beach. With ONE Smart Control, the shutters will close automatically every night, and the lights will switch on and off automatically. Just as though you were home. Forgotten to unplug the iron? When was the last time you drove home worried because you thought you had left the iron on? Not any more: with your smartphone you can switch off any device, irrespective of where you are, and you can check which other devices you have left on. A panic button sounds the alarm in any way that you decide: lights on, siren on, shutters open, warn family,… You can transform any of the switches into a panic button. If a visitor rings the doorbell and you are not at home, you will receive a message on your smartphone and you determine how to respond. One option is not to respond. Alternatively, you can give the visitor the option to leave a spoken message. Finally, you can forward the message on your intercom system to your phone. You can speak to your visitor as though you were at home, and if necessary, open the door remotely. Would you prefer not to hand over your key to anyone? Then give your visitor a code and set a time slot during which this person may enter the house. Receive a notification when the code is activated. This way, you will always know who is in the house and for how long. Your children come home from school every day … but you are still at work? Set your smartphone so that you receive a message as soon as the children return home. This will enable you to continue working for another hour without any worries.